New 2019 Chevy Silverado 2500HD Work Truck Crew Cab. The color is Red Hot with Gray Interior. 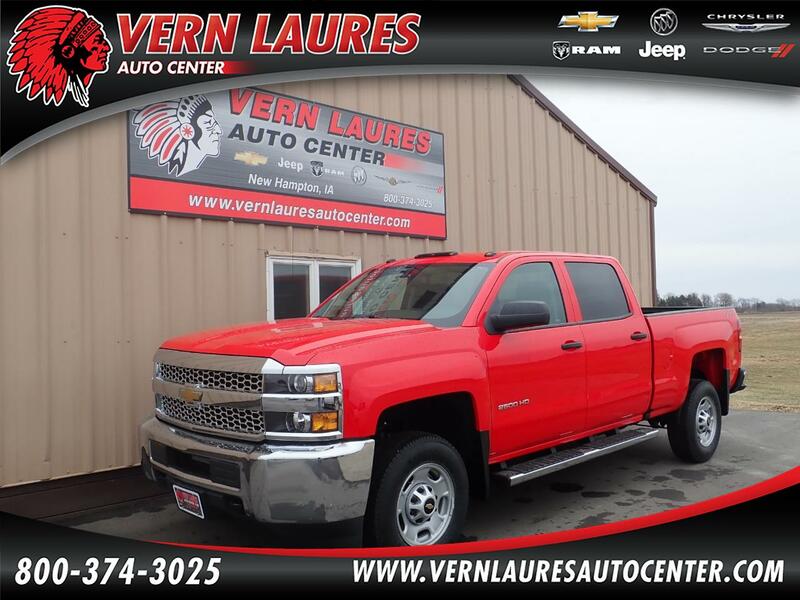 This truck is equipped with a Tow Package, 6.0L V8 Gas Engine, Factory Trailer Brake Controller, Easy Clean Vinyl Floor, Side Assist Steps, Keyless Entry, Spray in Bed Liner, a Back up Camera, and Cloth Interior. This Silverado is Ready to go to work. Stop in and take this one for a drive!